Improving quality life for all Richmonders through physical activity and making Richmond the most active region in the country. 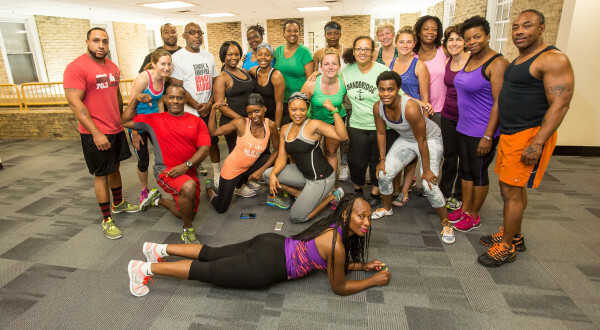 With support from The Anthem Foundation and The Richmond City Health District, the Sports Backers’ Fitness Warriors program trains area residents who have talent, passion, and potential to be professional fitness instructors for Richmond’s communities with the highest rates of chronic disease. Fitness Warriors are selected for their skills and leadership, and we train them up to be certified group exercise teachers. Throughout the program, Warriors meet as a class 1-2 times/month on the weekends and get dedicated training and support from professionals in the field. We teach the basics of fitness instruction and coaching. Help to grow each Warrior’s leadership skills. Introduce multiple exercise class styles. Create expertise in the fundamentals of teaching cardio, strength, and flexibility. Along the way, Warriors are going out and working in communities with church groups and in schools, at senior residences and in community centers with ongoing supportive site visits from our team. 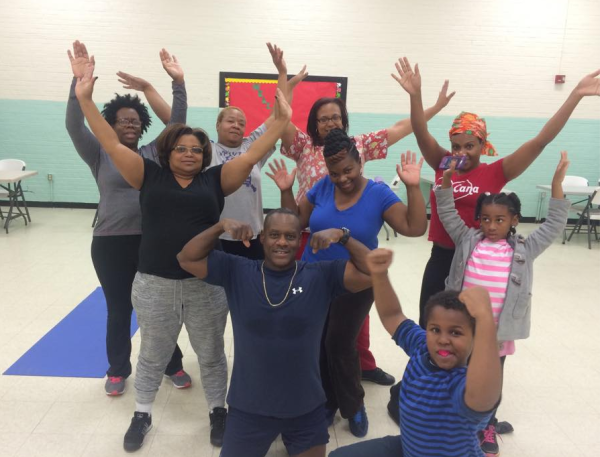 By teaching these weekly classes around Richmond, Warriors get to hone their skills AND provide an important resource to Richmonders who are trying to stay healthy. At the end of the program, a new class of fitness leaders are ready to go pro here in RVA. Want to be a part of our next class of Fitness Warriors? At Sports Backers, we work every day to improve the quality of life for all Richmonders through active living. While some of us may have cheaper gym memberships than others, or a park closer to our homes than others, all of us deserve opportunities to get healthy and stay in shape. And all of us could use a little encouragement, a little coaching and support to get there. Sports Backers’ Fitness Warriors are that voice of encouragement and support for our communities that could use it most. We’re looking for dedicated people with lots of potential! It is a serious commitment of your time and focus and the application is competitive. Accepted Warriors will receive 6 months on hands-on training from respected fitness and community organizing professionals and have the opportunity to provide free fitness classes and to receive professional certification. The deadline to apply for the current class of Fitness Warriors was June 12, 2015. Check back later this spring to learn more about how you can become a part of the next class of Warriors. Training will kick off in July of 2016. A dedicated crew of experienced fitness professionals support each class of Fitness Warriors through their training and development. Mentors bring skills and experience to match the Warriors’ passion and share the same commitment to seeing the health and fitness of our most at-risk populations improve. Every year we partner with schools, community centers, churches, senior centers, health clinics, and other community groups to offer FREE weekly fitness classes. Partners host Fitness Warriors, giving their communities a new outlet for health and well being. A trainer with decades of experience in the Richmond community. 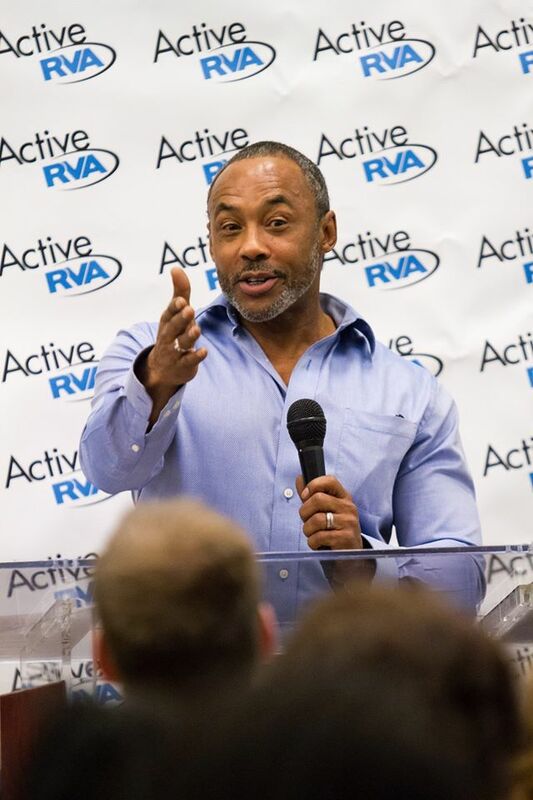 When Sports Backers teamed up with the Richmond City Health District to launch the Fitness Warriors program, we knew we’d need a powerhouse coach at the helm. We found it in Ricky Martin. Receive email notifications when we post.